Traveling in a camper can be an affordable and cozy way to vacation, but it does require some effort in order to ensure that your camper suits your needs for the duration of your trip. Purchasing a few different camper accessories can help improve your experience considerably, making it a good idea to explore the following. 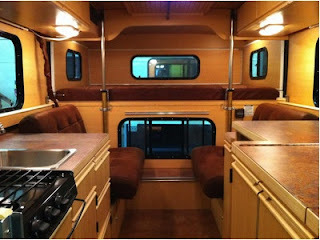 From new lights to providing room for your belongings, you’ll be able to improve your camper without breaking the bank. One of the easiest ways to improve the appearance of your camper is through adding more lights. Poor lighting can make it difficult to see while reading or just relaxing while on your trip. Mounted wall lights, along with lights that are automatically turned on when it gets dark are smart options, making your camper feel more homely. From cooking inside of your camper to sleeping, it’s important that your camper is able to serve all of your needs without any inconvenience. A good way to make your camper comfortable to spend long trips in, is through setting up different areas with a purpose. Just like at home you have your kitchen, living area and then a bedroom. Many Accessories are built with the idea of saving space inside your camper, while also keeping functionality. One of the biggest challenges people face when traveling in a camper is a surplus of stuff. Setting up storage in your camper, such as underneath beds and in cabinets, can help you have easy access to everything you need without the space feeling crowded. A great way to keep organized, especially if you have storage compartments is by using slide out trays, which prevent you from having to bend over to get things out. For more advice on making your camper feel like home, please contact us. Unless you prefer camping in arctic climates, the rv air conditioner is perhaps the most important of appliances to ensure you and your family remain comfortable in the great outdoors. Most RVs come with a rooftop air conditioning unit installed and for those that do not, one can easily be added. RV owners who need to add or replace an air conditioner have several great brands from which to choose including Advent Air and Coleman. Once it is installed, the RV air conditioner requires minor upkeep to ensure it operates as expected and doesn't lose its cool. Air Filters and Air Quality: In addition to its well-known cooling capacity, the air conditioning unit can also filter air to remove dust, allergens, and other particles to improve air quality in the RV. Whether it's air quality or air temperature that is of the utmost importance to you and your family, keeping the filter(s) clean is one of the simplest things you can do to improve your AC unit's performance and make it last through countless summer nights. Dirty air filters can become clogged and reduce airflow as well as the overall efficient operation of the unit. To prevent problems such as this, you should follow the manufacturer's guidelines for maintaining the unit's filters. Visual Inspection: The plastic cover of the roof-mounted part of the air conditioning unit is called the "shroud". Check the shroud for cracks or breaks in the cover. Driving with a weakened shroud that could fly off at any moment poses an obvious danger. 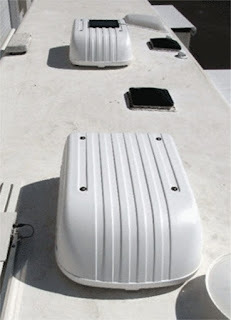 Replacement shrouds are relatively inexpensive and can easily be changed out. While looking at the shroud, you should also note any debris that has collected on or near the AC unit. Leaves, twigs, and other debris should be removed to prevent blockage. Another item that you can easily inspect simply by looking at it is the plug and cord. Look for a change in color, areas that are swollen, stripped, or dented in. Any of these could indicate that your air conditioner isn't getting the voltage it needs to properly operate. Annual Cleaning and Maintenance: Most manufacturers recommend you clean the condenser coil at least once a year. This task requires climbing up onto the roof and removing the shroud to access the interior of the air conditioning unit. There are many on-line sources available that provide do-it-yourself instructions or you can take your RV to your local maintenance and repair shop. Treat your RV air conditioner to a little TLC and it will return the favor to you and your family. When it comes time to replace it, be sure to contact us for helpful advice and quality products. The point of owning an RV is so you can get out and see the world. So, of course you don't want to spend the beautiful summer evenings hanging out inside your RV. Make the most of the incredible weather and choose comfortable outdoor RV chairs for you and your guests to enjoy the sights and sounds of nature. Outdoor chairs come in all shapes and sizes. If you are looking for one that is lightweight and compact, you can purchase a standard travel chair that will fold up for easy storage. These chairs have a v-shape that accommodates broader shoulders too. If you want a chair that offers all the flexibility mentioned above with a higher back and comfortable head rest, you might love the bubba chair. Just because you're traveling doesn't mean you have to forego the comforts of home. 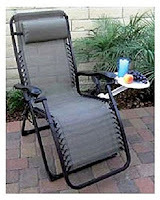 You can purchase an outdoor chair that rivals your favorite living room recliner. The Coronado lets you lean back and take in the stars. Or you can go all out and purchase the top of the line Lounge Lizard recliner; it is built to last and dries quickly, so you don't have to worry about leaving it out through an unexpected storm. You won't miss your porch, when you have a Cambria Padded Rocker to relax in after dinner. The padding on this rocking chair was designed with your comfort as the top priority. 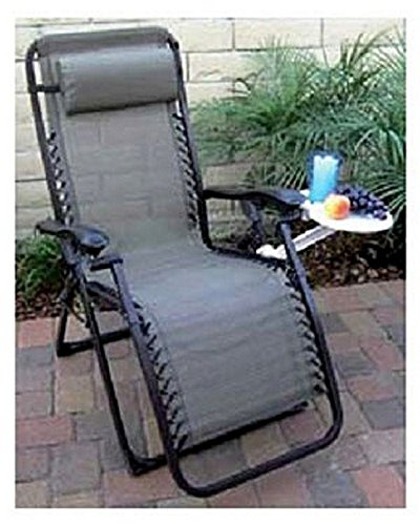 Like all outdoor chairs, this rocker can be used anywhere. It is also great for use at home, especially if you have a baby that needs rocked to sleep. Almost all of these chairs come in multiple colors so you can coordinate them with your other RV accessories. For the best selection of outdoor chairs for your next RV vacation check out our site, if you have any questions, please contact us. When people think of rv accessories, they often only think about the things that are obvious. They think about what will be nice to have outdoors or ways to have better water pressure. Those things are nice to have and upgrading them is great but a lot of people disregard the basics. 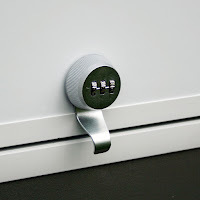 For instance a good quality security lock that will give you a piece of mind, that your stuff will be safe when your away from your home on wheels. Many RVs share the same lock sets and keys. Within a single model of a brand, there may only be a dozen different door locks. Even across many brands, the outdoor compartments share keys that are the same or so similar that many of your neighbors in the campground can probably get into your RV. We may wish that things were still the same as a couple of decades ago when no one worried about that but times are different now. You don't really know the other people in the campground, even if you're friendly with them. For your safety and the protection of your expensive RV and belongings, you should change out the factory locks to something different. While you're thinking about safety, you can also think about convenience. Electric door locks can be the solution that keeps your RV protected. Any replacement lock could keep your items safe but the advantage of electric key-less locks over key locks is that you'll never be locked out again. You'll never have to try to figure out where to put keys at the pool or worry about losing them in an amusement park. You can get key-less combination locks to fit your storage compartments too. We carry many different kinds of RV locks, Contact us to find the right ones to keep your RV safe.